Only 13% executives are satisfied with the performance of their field service operations, as per a study conducted by IDC. 54% of them admitted suffering from poorly designed business process services. The biggest challenge for businesses is not competitors but their own inefficiencies. With the growing competition from unknown corners, the organisations are looking at different avenues to refine and improve their services. 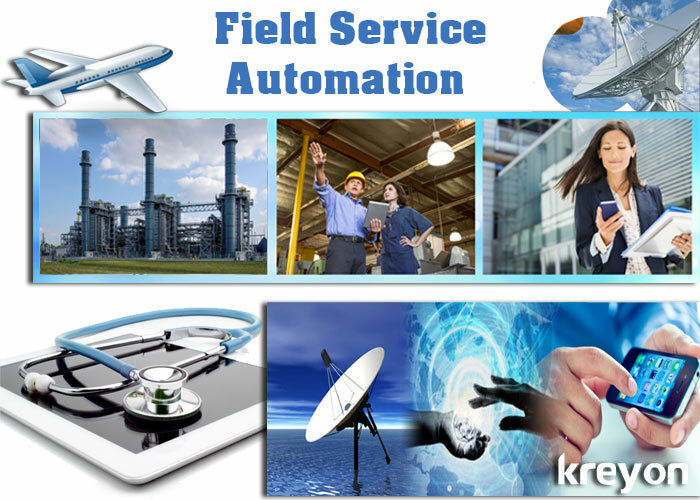 Field Service Automation is an area where companies are looking to improve co-ordination of their sales, service information with realtime communication. The field service team typically uses a mobile device, or a handheld system to capture data from the client side, the data is then sent to the centralised system realtime. The telecom industry is facing unprecedented pressures from technological disruptions caused by VOIP companies. It is imperative for them to offer excellent services to sustain in this competitive landscape. Companies are using field service automation for providing activation of new sim cards instantly. The service team is also handheld devices for feeding information related to cables and phone lines into a centralised database. The healthcare industry is a great example of how field force automation can make a critical difference. The service team or the nursing staff can make use of applications to communicate & take prescribed measures in cases of emergency. Field service automation can help in improvement of the midstream operations in Oil and gas Industry. The adoption of field service technology can help in detection of leaks in pipelines, which can be used to alert responsible authorities. The communication can be improved for leak detections and monitoring of equipments. The manufacturing operations can be improved with field service applications. The preventative maintenance, health monitoring of equipments and downtime data collections can be done through field service applications. The cleaning operations which are done by municipal corporations can be improved by uploading pictures of areas with GPS locations. The supervisors can track the work on a daily basis based on the data collected by the field service team through mobile devices. The realtime information related to public utilities can be tracked on the centralised system. Customer Service Managing worker activity, schedules and improve customer service with minimum downtime Handling customers on priority of tasks, dispatch & scheduling of work with a mobile work force leads to improved customer service. * Results obtained from Kreyon’s enterprise FSA. Enterprises around the world are looking for improvements in ways to please their customers and improve their services. Simple and intuitive field service applications are imperative for customer service, sales and optimised resource planning. Field service automation with customised applications for business processes leads to improved response times, automated scheduling of work and results in excellent customer service. The cost to service a request, travel time and overall expenses to support customers reduces considerably with Field Service Automation for enterprise clients.